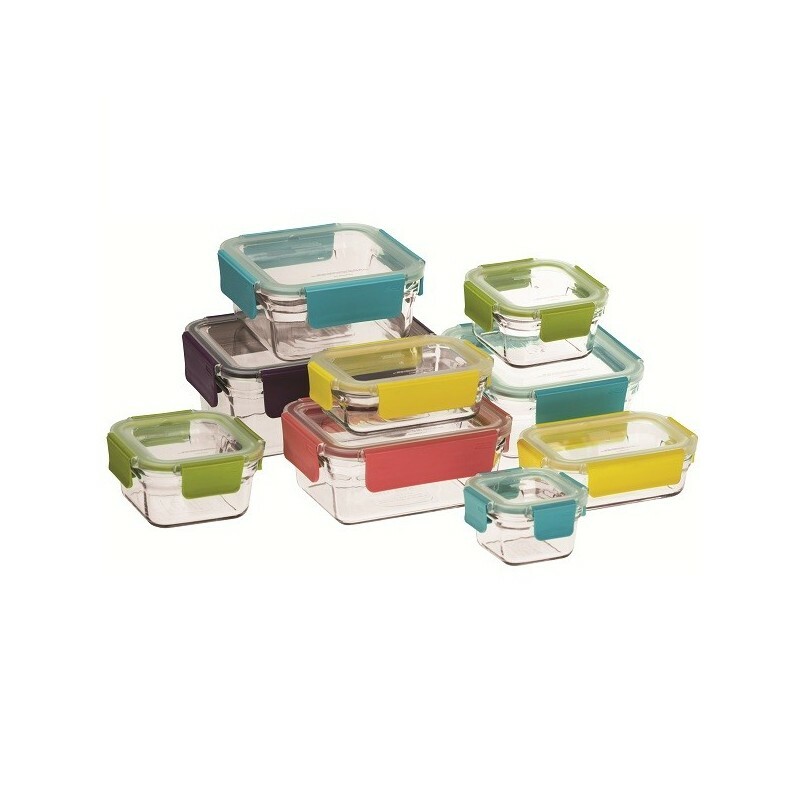 High quality, oven safe, tempered glass food storage containers with easy open and clip shut BPA free plastic lid. Leak-proof. Designed for storing, freezing and serving food. Set includes: 1 x 160ml, 2 x 440ml, 2 x 395 ml, 1 x 1L, 1 x 1.8ml. RRP $239.00. Made from shatter resistant, durable tempered glass. Oven safe to 230 degrees celcius. 100% BPA free & food safe. New easy snap lock lid system. Made from 100% BPA free tempered glass and plastic lid. Please note: due to the weight of this item a freight surcharge may apply depending on your location. We will contact you with any exact shipping costs that may be applicable before processing your order. See all our BPA free Plastic and Glass. These containers are fantastic. They seal wonderfully, meaning that they keep food super fresh and are totally leak proof - even if your soup ends up on its side it wont leak. I love that I can reheat food directly in the container. The lids are easy to snap on and off, unlike an older version from the same brand. They are heavy, but that is to be expected with glass. These are my favourite kitchen containers. Handy sizes, easy wash, easy to use. (I have had another brand that had lids that were difficult to shut.) The only mistake I made was to stick labels on the lid - they don't come off very easily. Labels on the glass base are easy to remove. I have had my set for more than a year and as my pyrex ones get moved on, I will be replacing them with more of these.